The Jeep Renegade 2019 has just arrived on the market but it has not taken long to incorporate into its range the successful special series Night Eagle, which enjoyed all the American signature models (we tested the Jeep Grand Cherokee Night Eagle) and, for as it seems, we will see them again at dealerships. 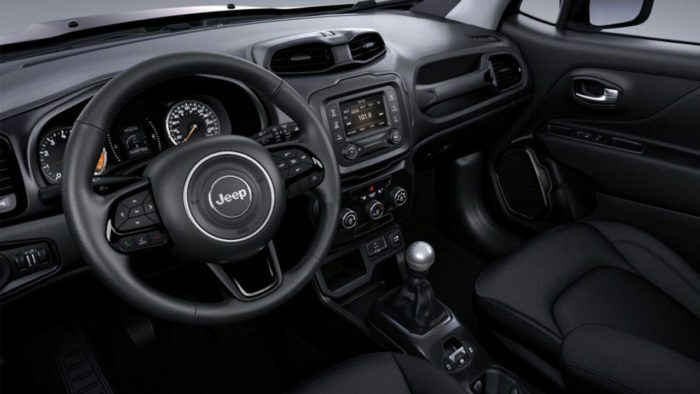 The Jeep Renegade Night Eagle differs from the rest of the finishes by its specific aesthetics, with black as the predominant color, as well as its full equipment. On the outside we find that the chrome elements of the front grill disappear. This, like the frames of the fog lamps or the rear pilots, has been finished in glossy black. Tinted rear windows, the series logo and black 18-inch alloy wheels complete the differences. Once in the passenger compartment we can also see peculiar details. In addition to parts finished in glossy black, it has a better fabric cover than the simple finishes, a knob of the gear lever in aluminum and exclusive rugs. The standard equipment of this small SUV is very complete, since between the endowment we find fog lights, electric windows on all four doors, closing with control, on-board computer, air conditioning, multifunction steering wheel covered in leather and multimedia system with five-inch touch screen, Bluetooth, DAB radio, USB port … In Europe the Jeep Renegade Night Eagle can be chosen with the new petrol engines 1.0 of 120 HP and the 1.3 of 150 HP (this associated with the automatic change). In diesel we have the 1.6 MultiJet of 120 HP and the 2.0 MultiJet of 140 HP, the only one that can have all-wheel drive.